You are here: Home » All day everyday.. This weekend I made a feast of tasty goodness to indulge my craving. What was the star of the show you ask? 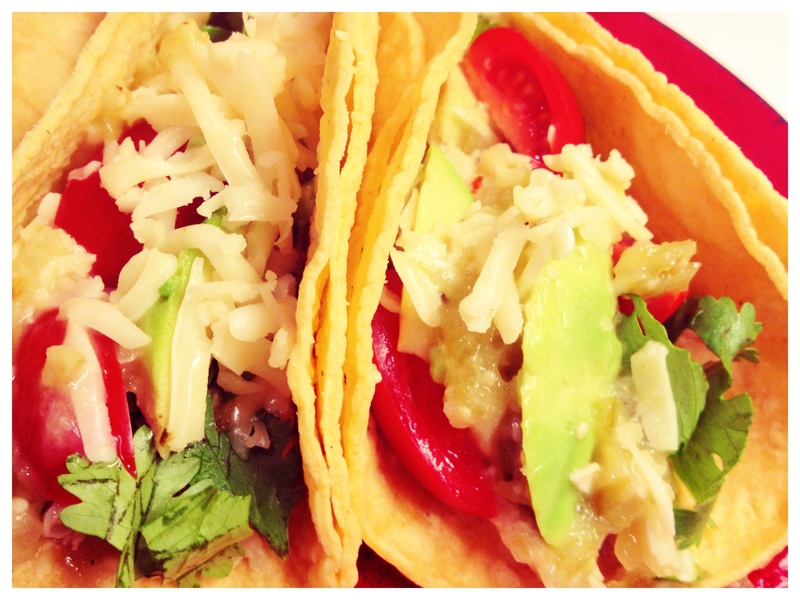 Tomatillo Chicken Tacos topped with creamy avocados, spicy cilantro, juicy tomatoes, and jalapeno jack cheese, all wrapped in a delicious corn tortilla. DELISH! Saute Onions in a small saute pan with a drizzle of olive oil salt and pepper. Saute until translucent. Reserve saute pan. Once chicken is done shred then add in small saute pan that was used for onions and add 1/2 cup tomatillo salsa and saute for 5 minutes, stirring occasionally.